NorthStar Battery Company is a global leader in the design, manufacture and distribution of an innovative range of batteries made in the United States. NorthStar products are designed to be ultra-high performance and premium quality, with a much longer lifetime than standard products. Less downtime, lower battery replacement costs, and fewer maintenance visits minimize the impact on the environment and reduce the total cost of operation. Pure Lead Technology is the latest breakthrough in battery performance technology. 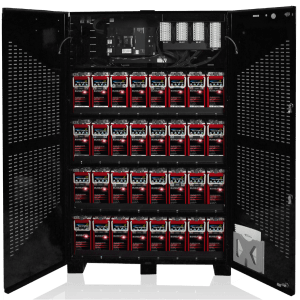 Our NSB Red Battery range uses pure lead positive plates to provide exceptionally long battery lifetime on stable power grids – typically more than 15 years, compared with less than 12 years from standard batteries. 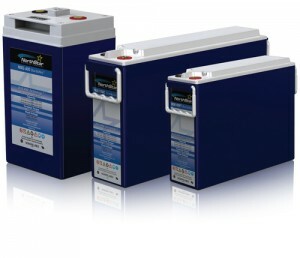 NorthStar battery thin plate technology gives our batteries a huge advantage over the competition. Using thin plate construction inside the battery means greater surface area, typically delivering 10-15% better performance. NorthStar ACE is a fully integrated solution combining Bluetooth communication with an IoT concept. 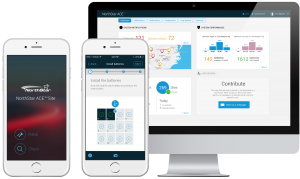 Using NorthStar ACE (Advanced Connected Energy) the user can retrieve real time and historical performance data wirelessly, both locally through a smartphone app and remotely through a cloud service.